Posted on 28.03.2014, in Linux, PostgreSQL, etc. and tagged Linux. Bookmark the permalink. 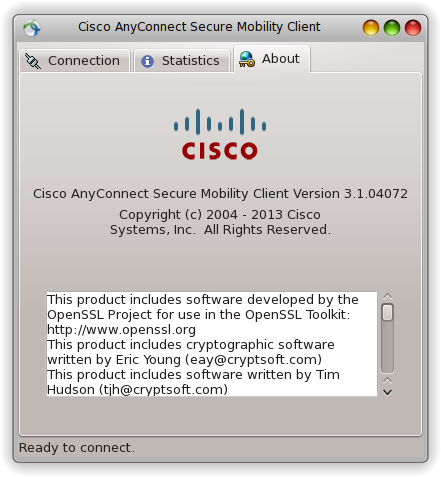 Comments Off on Installing Cisco AnyConnect Client 3.1 on Fedora 20.